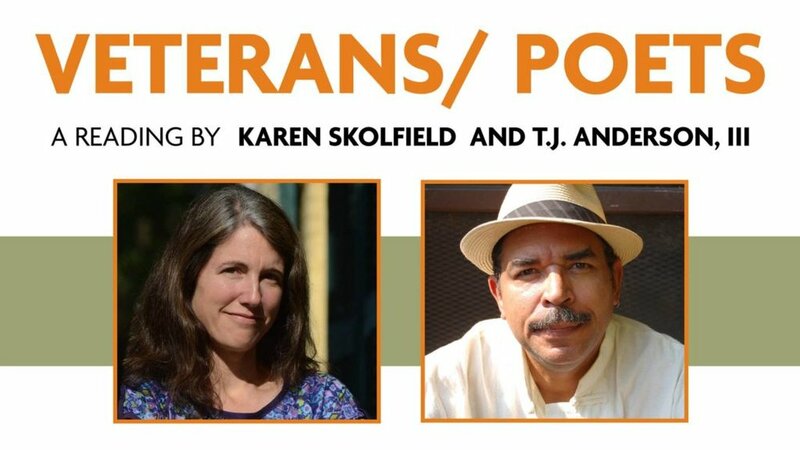 Karen Skolfield is an Army veteran and teaches writing to engineers at the University of Massachusetts Amherst, where she earned her Master of Fine Arts. Her book Battle Dress (W.W. Norton) won the 2018 Barnard Women Poets Prize and will be published in fall 2019. Her book Frost in the Low Areas won the 2014 PEN New England Award in poetry and the First Book Award from Zone 3 Press, and was a Massachusetts “Must-Read” selection. She received the 2016 Jeffrey E. Smith Editors’ Prize in poetry from The Missouri Review and the 2015 Robert H. Winner Memorial Award from the Poetry Society of America. T.J. Anderson, III is a professor of English at Hollins University. A poet, author and literary critic, he teaches undergraduate and graduate courses in English and creative writing. Anderson’s published books include two poetry collections: At Last Round, River to Cross (The Backwaters Press), Cairo Workbook (Willow Books), and a critical book on jazz poetry Notes to Make the Sound Come Right: Four Innovators of Jazz Poetry (University of Arkansas Press). Anderson has also published poems in numerous literary journals such as Sarasota Review of Poetry, Sulfur, lift and Indiana Review. In addition, he has produced two poetry and music collaborations: The Mask and Songs of Illumination, and the highly acclaimed spoken-word CD, Blood Octave.